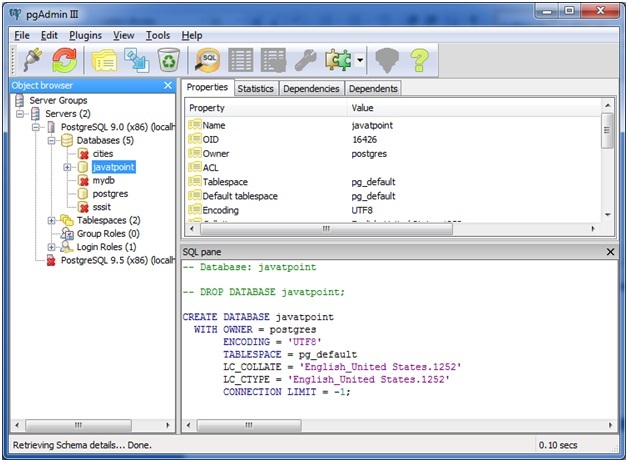 In PostgreSQL, you can create a database by using CREATE DATABASE command. 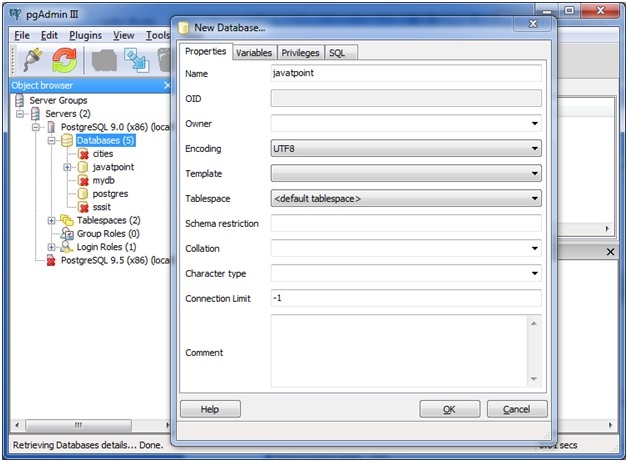 Here, database_name specifies the name of the database which you want to create. Right click on the PostgreSQL 9.0 and connect PostgreSQL to the local host server. Right click on the database, go to the new database, a pop up box will appear then type the database name you want to create. Follow the 1st and 2nd steps of the above. Left click on the database. 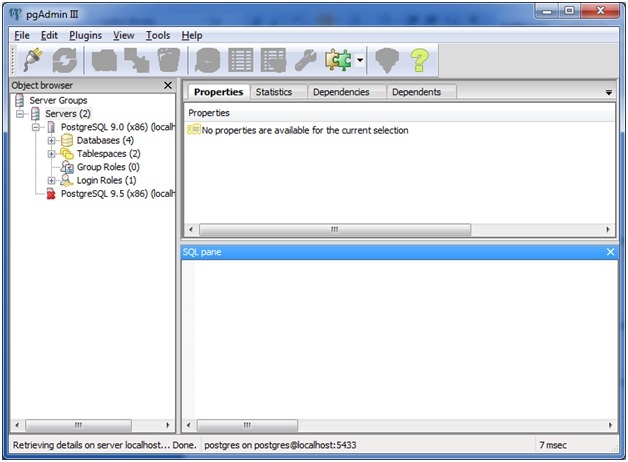 Left click on the tool and you will get Query tool. Click on the query tool and put your "CREATE DATABASE" query here. Note: You can ignore 3rd and 4th steps and Press Ctrl+E for the same result. 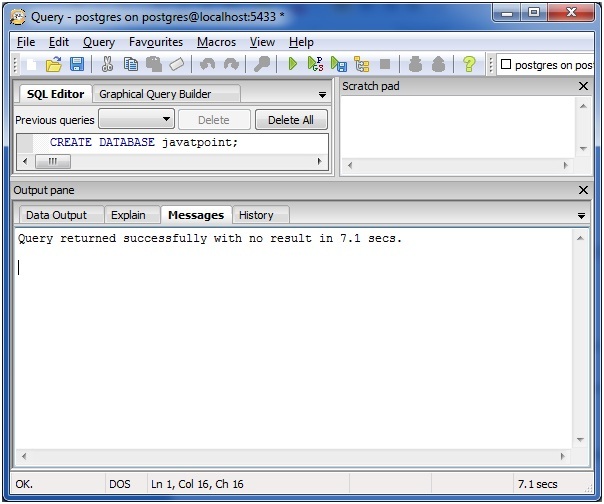 Database "javatpoint" is successfully created, you can see it.